John Logan is the Patriots’ unofficial magician. HOUSTON — This is no illusion. The New England Patriots had an unofficial magician who performed tricks at the team’s request this season. 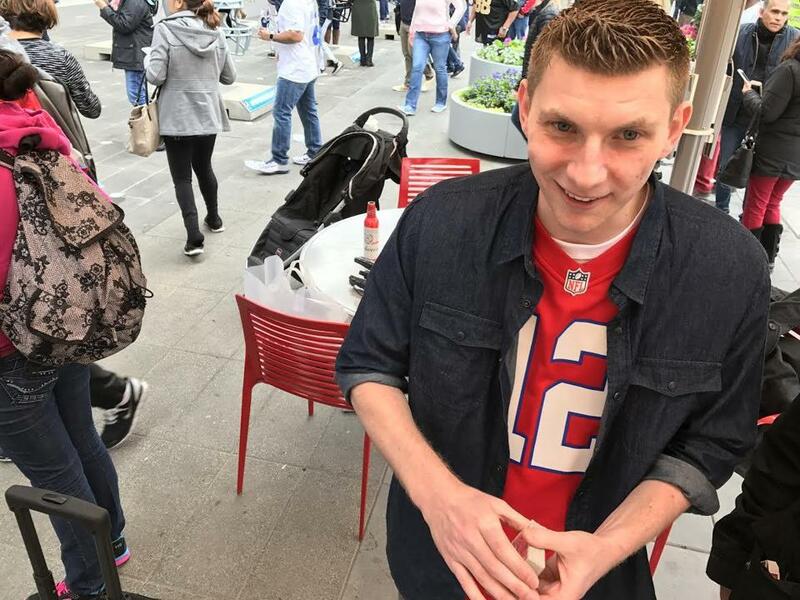 John Logan, who has been doing magic for a decade, was in Texas Friday twirling cards between his fingers, and making them appear behind people’s hats, as he explained how he became the person who entertained the hulking players inside the locker room at Gillette Stadium to keep their spirits high. Patriots spokesman Stacey James told the Globe in an e-mail that Logan works for the team’s content group, to develop material for Patriots.com. In that capacity, he said, Logan has had a variety of responsibilities, which earlier this year spilled over into mystifying players with his sleight of hand. More than a dozen videos on the team’s website, called “Magic Moments,” show Logan impressing players with his craft. Magician and consultant Stathi Zaf has been helping Logan design the routines and variety of tricks featured in the videos, which he said can take hundreds of hours to put together. “I’m like the Belichick, I’m like designing all these things, and he's like the Brady,” said Zaf. In one of the videos posted online this season, Logan left Patriots tight end Martellus Bennett asking, “How’d you do that?”, following a card trick. Logan has even caught the attention of Tom Brady. A day before the AFC Championship game, Brady tipped his hat to the locker room magician for his talents. Logan told the Globe it was equally as cool to get recognized by the quarterback during a press conference. “He’s such a great guy,” he said. Logan said backup quarterback Jacoby Brissett seems to be his biggest fan. Whenever Logan’s in the locker room, he said, Brissett will approach him, eager for a brief performance. Logan hasn’t been performing for the team leading up to the Super Bowl, he said, but is happy to do so if he’s called for duty. He said one of the best parts about doing tricks for the players has been getting to learn more about the athletes on a personal level.